Blocked Shower In Sussex, Surrey, Kent, Hampshire & London. Unblocking a blocked shower can be a problem for you to clear, especially if there is no access to a trap or pipework. If your shower won’t drain away slowly you need to act fast to prevent your shower blockage escalating into a flood. DrainBoss Plumbing & Drainage have the experience and latest industry equipment to tackle the most stubborn blocked shower drains normally caused by hair and scale build-up. Our equipment includes high pressure jetting for really stubborn blockages and electro mechanical cleaning for small pipes. 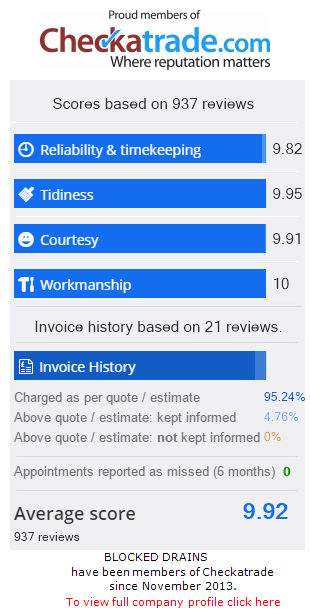 There is no call out charge and we provide you with upfront pricing so you know exactly how much your blocked shower repair is going to cost before we start the work. Contact DrainBoss Plumbing & Drainage for immediate service for your blocked shower. Tel: 07772 535248 or call a location number closest to you.